The US President Donald Trump’s trade war against China has already shown signs of spilling over to poison the overall relationship, raising international concerns that a wider conflict between the two countries may be on the cards. The latest worrying signal, which has emerged over the past few weeks, is that US universities have begun to terminate academic exchanges and links with Chinese counterparts citing concerns over intellectual property and academic freedom. This is an ominous sign as academic exchanges are part of the essential civil society bonds which help underpin and strengthen bilateral ties. 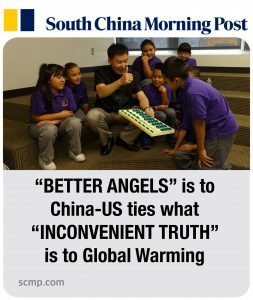 Amid all the doom and gloom, however, it is heartening to see the release of a 92-minute documentary titled Better Angels, produced by a team of American and Chinese filmmakers, aimed at projecting a little hope and positivity. 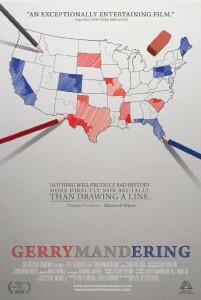 The movie, directed and narrated by two-time Oscar winning director Malcolm Clarke, features political and business heavyweights including three former US secretaries of state (Henry Kissinger, James Baker, and Madeleine Albright), Tung Chee-hwa (Hong Kong’s first chief executive), and Ronnie Chan (a billionaire property tycoon). But their punditry on the importance of bilateral ties mainly serves as a background to the poignant and intimate portrayal of ordinary Chinese and Americans who have become “accidental diplomats” in helping to enhance civil society bonds between the two countries. They include a former US marine from Texas who moved to Shanghai to teach English and American football and married a Chinese woman; a blind Chinese masseur turned global backpacker who travelled throughout the United States where he received kindness and hospitality from strangers; a Chinese abacus teacher who helps American children learn arithmetic, and two American women whose lives were changed by working in a Chinese copper factory in Wilcox County of Alabama, one of the poorest areas of the US. The way their stories are interwoven and shot makes these characters and their tales touching and uplifting as they try to learn more about one another’s culture and differences. Anyone who watches the movie will surely find at least one story or one character who tugs at their heartstrings. For me, the most emotional scenes involved a young Chinese worker from a poor village in Yunnan, who chose to work on a bridge in a remote part of Ethiopia for three years so that he could make more money. He missed the birth of his son and because of the poor phone signals, he could only call his wife once a week (he would have to climb to the top of the mountains even to do that). When one of his calls finally gets through, the couple get so worked up they do not know what to say at first. One scene in particular, showing the young man sitting on a rock and bowing his head, is a real tear-jerker. As Clarke said recently after one of the screenings, these stories show the dreams pursued by Chinese are no different from the American dream. William Mundell, the businessman turned producer and a frequent traveller to China, came up with the documentary idea nearly five years ago to “shatter the myths that Americans have about China and Chinese have about America”. The movie, originally envisioned to be completed in 18 months, took nearly five years and was shot in four continents. The timing of its release – it opened this month in New York and Los Angeles on a limited basis and a wider US release is planned for January – could not have been better because of the tensions between the two countries. 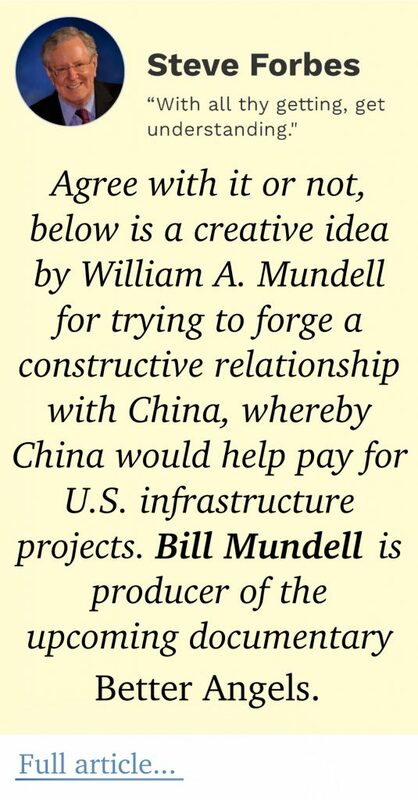 Mundell said even though the movie was planned in the Barack Obama years, long before Trump was on the political scene, anti-China sentiments had already gained momentum across a wide spectrum in the US and Trump had merely capitalised on this. As Trump’s China-bashing has stoked the curiosity and apprehension of ordinary Americans about the country, he hoped that the movie could have a similar impact to An Inconvenient Truth, the runaway hit on global warming by former US vice-president Al Gore. Indeed, one can certainly argue that the relationship between China and US is no less significant for the world than global warming. Whether Mundell is overly optimistic remains to be seen but initial signs look promising. Since his team uploaded a trailer on Facebook two weeks ago, it has had more than 3.1 million views. The movie is expected to be very popular in China when it opens on 2,000 screens next month, not least because of its topical content, well-written script, well-shot scenes and Clarke’s masterly directing. The Chinese, both the ordinary and the powers that be, are often fascinated by how foreigners view the Chinese and their interactions with the outside world through their own lenses, free from the usual Chinese-style, in-your-face propaganda. Han Yi, the Chinese journalist-turned-producer helped track down some unique and interesting characters for the movie including the blind Chinese backpacker and the former US marine. Inevitably, given the tensions, some American critics have faulted Mundell and his team for focusing largely on individual success stories and their trials and tribulations, without mentioning the overall context which has contributed to the worsening ties and the deep social and political problems plaguing both countries. At post-screening discussions, Mundell and Clarke have been challenged by audience members about the movie’s failure to address China’s crackdown on dissent, lack of press freedom, and human rights issues in Xinjiang and Tibet. They counter that those issues have been well covered in the mainstream media and their movie aims to go beyond the daily diet of suspicion on both sides and instead look through the lenses of ordinary people who are seeking to bridge the distance – physical and metaphysical – between them. Ordinary people can do extraordinary things, as demonstrated by the famous chance meeting between a US ping pong player and a group of Chinese players in April 1971, which led to the eventual establishment of diplomatic ties between the two countries.